Swati J initiated WomenPlanet with a simple aim of spreading awareness and educating the society. And to achieve this dream, she has spent a considerable amount of time researching and experiencing the very best that is out there. We all love ourselves and almost die to have beautiful lustrous, long hair and a glowing skin like our favourite Bollywood actresses! Blessed are those who have such bouncy, healthy and glowing manes and skin. Blame your daily chores, pollution, irregular and unhealthy food habits for your hair and skin problems. But what we fail to understand is that hair and skin problems in today’s time, are not just adult problems. Even our little munchkins suffer from some of these skin and hair issues. Rough hair, hair fall, dandruff, slow hair growth, skin pigmentation are some of the conditions that can be seen in our little kids as well. And this is where the story of Vedic Aura begins! Mothers are nothing less than angels to their kids! Loving them, caring them and nurturing them, mothers look out for almost every little thing that is related to their kids, even their hair! Paranoid over the scanty hair growth of her 7 month old daughter, Jaya Bellara was having sleepless nights, thinking of ways to enhance her daughter’s hair growth. Trying allopathic medicines was the first step to help her daughter’s hair growth. Although modern allopathic medicines claim to have faster results, they have limited intervention when it comes to treating conditions. But sadly nothing worked. This is when Jaya decided to try out natural remedies based on Ayurvedic formulations which were absolutely harmless to try on her little daughter. Being a strict follower of natural remedies, Jaya always turned to herbal and homeopathic medications to cure basic health conditions. And this is what motivated her to find out Natural and Herbal Remedies for curing hair and skin conditions not just in adults but also in kids. Jaya took extra efforts in learning about natural remedies and therapies from experienced, aged people who had followed natural treatments all their life. She visited and studied about nature therapy from several Nature Therapy Centres and Ayurveda Centres. She even visited forests and parks to study the characteristics of various plants, trees and herbs which offer such healing and curing characteristics. Apart from the knowledge gained, she decided to trust herself and move ahead with self-study and the knowledge she received from her interactions with other learned people to make her own hair oil that would help her daughter have more hair on her scalp. And to her own surprise, her efforts worked magic on her daughter’s hair growth. In just a month’s time, Jaya saw new hair growth from her daughter’s head. The difference was not just satisfying, but also inspiring. Her neighbours, relatives, and friends took notice of her daughter’s hair growth and started using the hair oil for their hair problems. The result was simply Magical! The word about Jaya’s hair oil spread like a wild fire and within no time, people saw the positive results of the Magic Oil. People who learnt about the oil would request Jaya to give them the magic oil! With her first hair oil’s successful result, Jaya got motivated to do more research and make more products for hair and skin. For her, Words like Stopping, Pausing, Being Content never existed in her dictionary. She slowly turned her hobby and love for natural remedies into an Ayurvedic Product Brand, and named it Vedic Aura. The process of learning, studying and developing better and more products never stopped and will never stop for Jaya!Her only purpose being, spreading the benefits of natural herbs to each and every person. 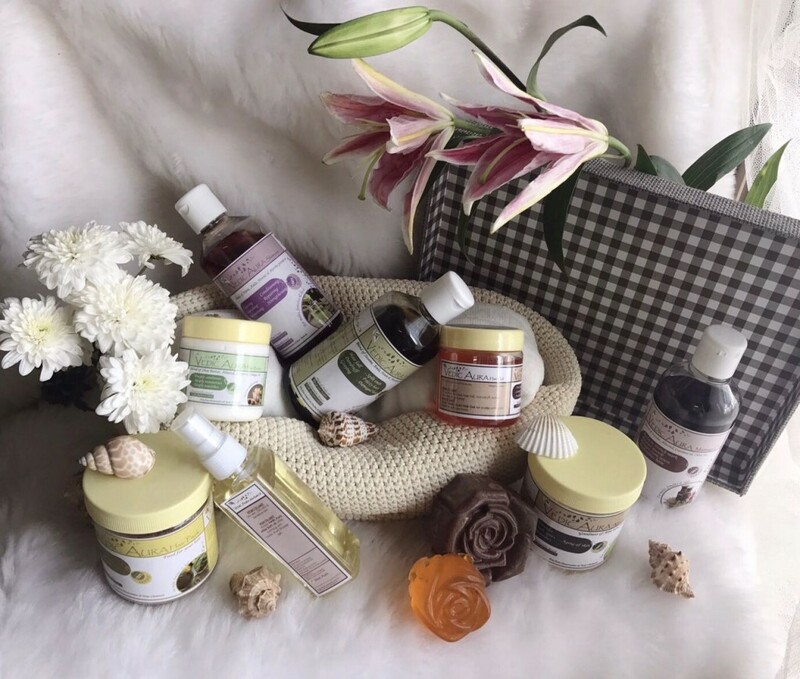 These products, treat your skin and hair problems from their roots and give you the best results ever, also preventing the reoccurrence of the problems. Today, Vedic Aura is a well known, fully trusted 100% Natural, Ayurvedic Brand with a range of products which are formulated based on three basic principles – Safety, Effectiveness and Cost Effectiveness. The products are perfect for anyone who wishes to have safe and effective solutions for their Hair/ Skin/ Body problems. This is the reason, Jaya has chosen a wise tagline for her product – “You Will Age, But Your Body and Hair Won’t”. However, despite the goodness of the product, Jaya had to face a few struggles due to her lack of experience in the marketing field. But, with the Grace of God and the love and support of her clients, Jaya got inspired and motivated to keep going. Her customer’s feedback, reviews and the word of mouth, helped her business grow by leaps. It is due to this love that Jaya never had to rely on Publicity or marketing strategies to sell her products. Jaya believes, “The Product Should Sell By Itself”. Looking ahead to the future of her brand, Jaya wishes to formulate more products for all sorts of Hair, Skin and Body issues. 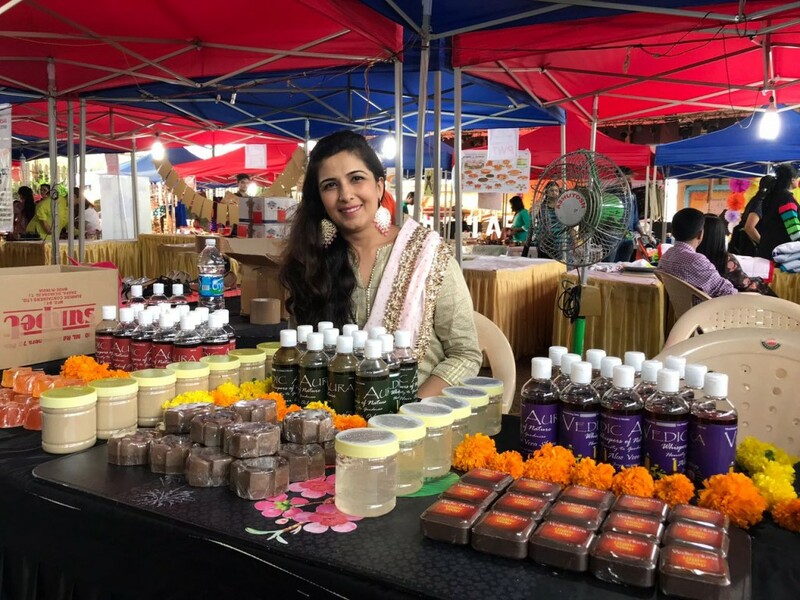 She wishes to target PAN India and start exporting her products across the world to help people heal their hair, skin or health problems with Vedic Aura natural products. Wrong Sexual Touch – How Many Times Have you Experienced it? I Never Believed In Friendship, But A Tragedy Changed My Life! Women, The First Change Makers For An Eco-Friendly Environment! Plan Your New Year In An Artistic Way! Those Smiles Of Underprivileged Children At Women Planet Foundation’s Event!